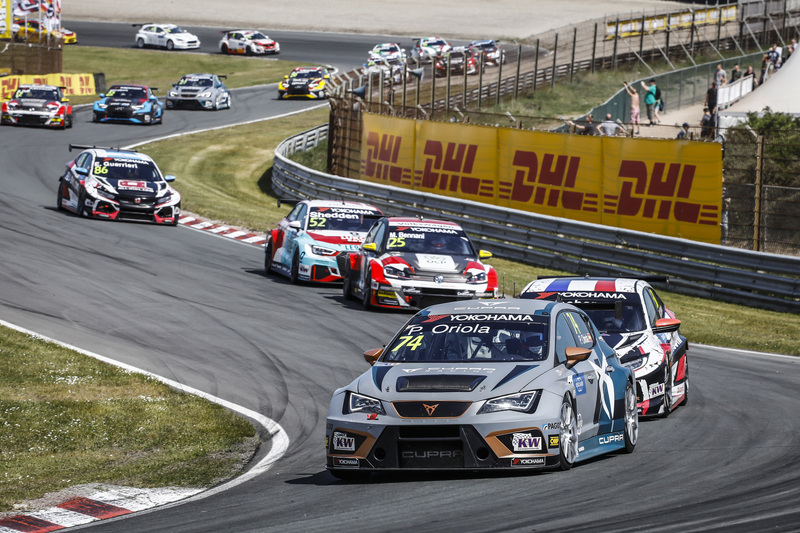 Thed Björk stamped his mark on Race 3 at WTCR Race of Portugal with an emphatic lights-to-flag victory as the WTCR – FIA World Touring Car Cup presented by OSCARO capped a thrilling weekend of action in Vila Real. 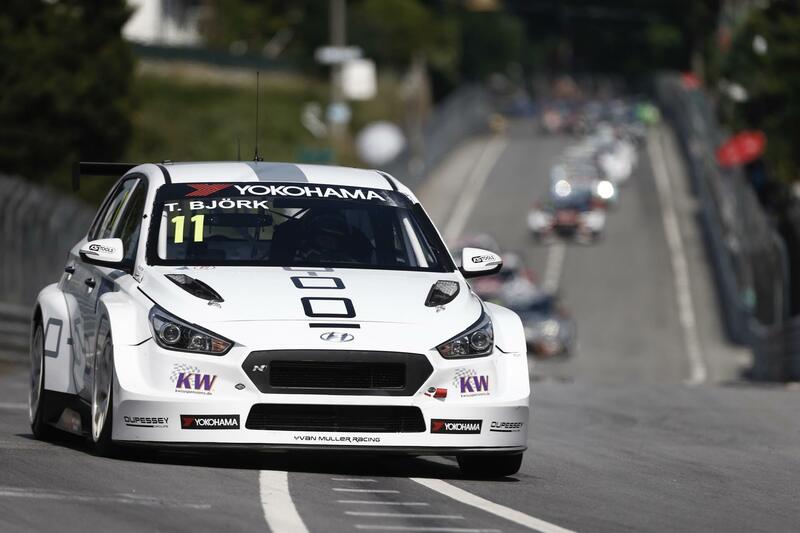 The YMR Hyundai i30 N TCR driver scorched away from his DHL Pole Position, played his ‘joker lap’ early and negotiated three safety car restarts to claim his second victory of the WTCR OSCARO season. The performance was the perfect way for Björk to pay back his mechanics, who had worked all night to rebuild his car which was severely damaged in the multi-car accident in Race 1 on Saturday. “That race was fantastic,” said the delighted Swede. “The speed in my car, I felt it in Race 2 so I didn’t want to risk anything, just finish it and do this race. I was flying. I love the streets in Vila Real and I was just flying. 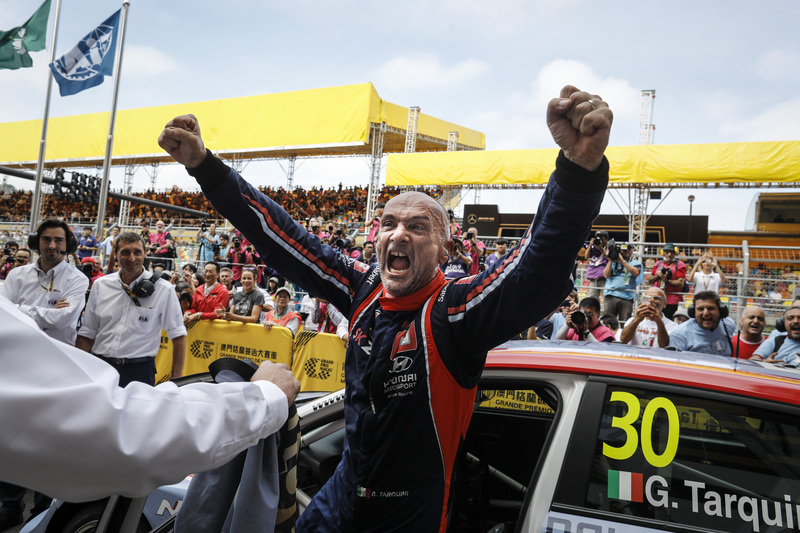 Björk built an immediate lead at the start, as Gabriele Tarquini got the jump on BRC team-mate Norbert Michelisz off the line to claim a second place he’d never lose, despite suffering from a fever. The pair would complete the podium for an all-Hyundai 1-2-3. By the end of lap one Björk already led by 2.8s, then increased his advantage to 4.1s a lap later. With such a gap, YMR chose to play his joker at the end of lap three and he was able to rejoin still in the lead. The first safety car intervention followed on lap four after Zengő Motorsport’s Norbert Nagy hit a barrier in his Cupra TCR. At this stage, only Björk had played his joker, which only strengthened his grip on this race. The second safety car period occurred on lap nine when Fabrizio Giovanardi broke a wheel on his Team Mulsanne Alfa Romeo Giulietta TCR as he attempted to play his joker. The Italian had been running in a competitive P11 up until that point. Still none of the front-runners bar the leader had played their jokers, and when a third safety car period was called for to retrieve Gordon Shedden’s Audi Sport Leopard Lukoil Team entry following a reported driveshaft failure, it set up a fascinating climax to the Vila Real race weekend. Racing resumed with just one lap to go, meaning that all the frontrunners would have to play their joker together on the final lap. Tarquini and Michelisz rejoined and crossed the line to confirm their podium finishes, Michelisz doing so with his right hand in a bandage following the accident in Race 1. 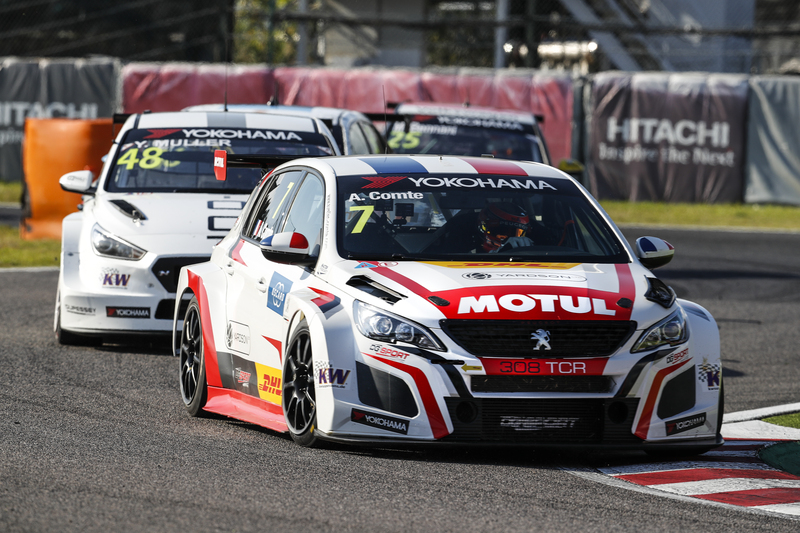 Pepe Oriola claimed an excellent fourth place for Team OSCARO by Campos Racing and Race 2 winner Mato Homola a strong P5 in his DG Sport Compétition PEUGEOT 308TCR, having passed Yann Ehrlacher on lap two. Oriola was the TAG Heuer Most Valuable Driver in Vila Real after scoring 50 points. But Ehrlacher would lose a further place on the line, as Frédéric Vervisch benefited from the decision by his Audi Sport Team Comtoyou to play his joker earlier. The Audi was able to squeeze ahead of Ehrlacher’s ALL-INKL.COM Münnich Motorsport Honda Civic Type R TCR to claim P6. Teenage Belgian Benjamin Lessennes was another to benefit from a good call on his joker by Boutsen Ginion Racing to jump up the order at the line. He finished in P8, ahead of Comtoyou Racing’s Aurélien Panis and Audi Sport Leopard Lukoil Team’s Jean-Karl Vernay. WTCR points leader Yvan Muller could only finish in P11, despite a last-lap challenge on Vernay that left him clattering over the kerbs. He finished just ahead of wildcard entry and Vila Real resident Edgar Florindo in Veloso Motorsport’s Cupra. A subdued Esteban Guerrieri finished a lowly P13 following his retirement in Race 2 ahead of Denis Dupont and the wildcard entry, José Rodrigues.